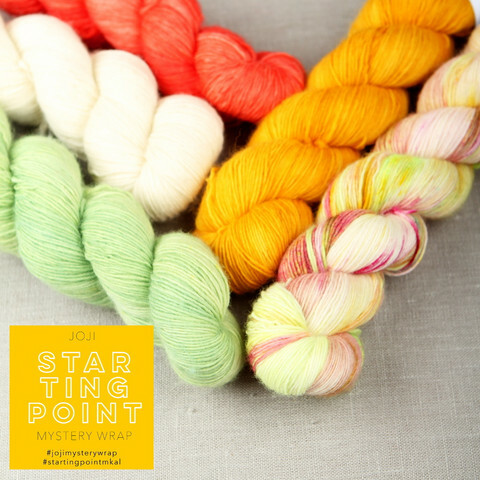 Join us for the Starting Point Mystery Wrap KAL by Joji Locatelli! This combo package is a mix of candy colors: mint green Minttu (mint), warm yellow Leijona (Lion), intense and bright Koralli (Coral), natural white (Valkoinen) and a mix of red, green and yellow in the new colorway Tutti Frutti. You will receive 1 skein in each color: 5 skeins and 500 grams total. The yarn chosen for this KAL is our delightful superwash merino single Luonnotar. These colors have been specially hand-picked for the Mystery Wrap KAL! These combos are priced for pre-KAL only and you will also receive free shipping! Please note, that this package price is for the yarns only - it does not include the price of the KAL pattern. See the Mystery Wrap KAL page on ravelry for more information on the pattern. Please note that all packages will be dyed to order and shipped on May 10th in time for the first clue on May 12th. Finnish Customers: Please place your order by May 8th in order to receive your yarns in time for the first clue. 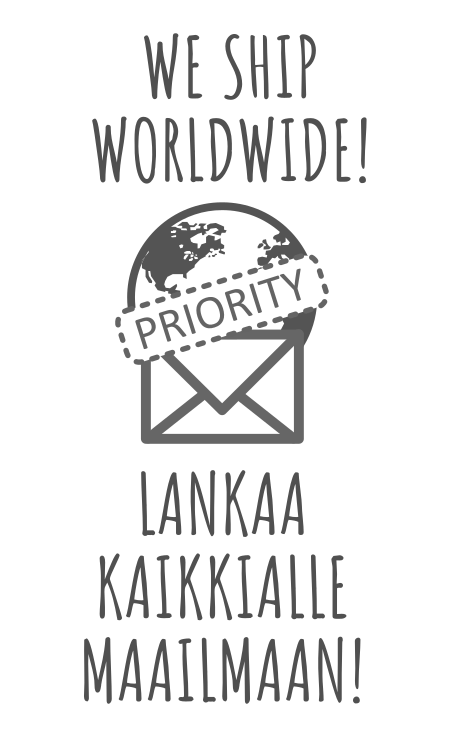 Customers outside of Finland: Your yarns will ship out on May 10th. Delivery times will vary.